The emerald is the official birthstone of May. Emerald, to many, symbolizes rebirth and the abundance of the life force. The rich green hue brings to mind the regeneration of life in spring and hope of new possibilities. Although the emerald itself is quite durable, the garden of inclusions may make individual gems vulnerable to damage if handled roughly. 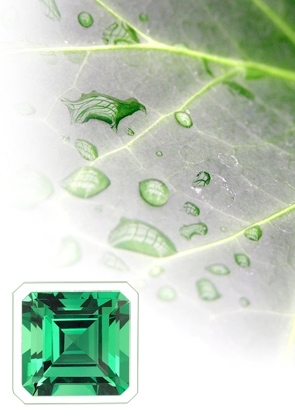 Ask us for information regarding your emerald selection and care.